In this section you’ll learn about employee training, professional development, performance appraisals, and employee compensation. 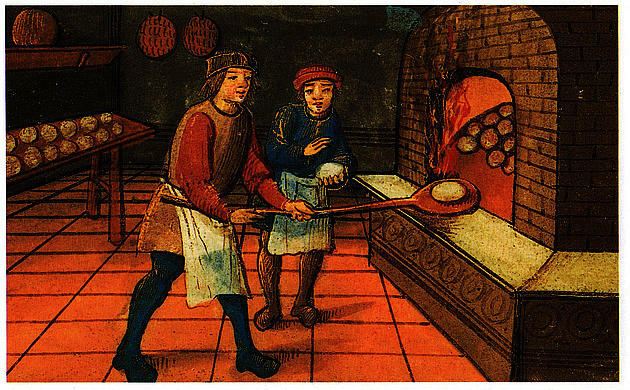 In the late Middle Ages, craft guilds allowed master craftsmen to employ young people as an inexpensive form of labor in exchange for food, lodging, and formal training in the craft. Consequently, if a young man or woman wanted to obtain skills as a craftsperson, he or she would spend at least seven years as an apprentice, supervised by a master craftsman before being released to work independently. Clearly the world of work has changed and so has the way that individuals obtain and hone their workplace skills. Training is teaching, or developing in oneself or others, any skills and knowledge that relate to specific useful competencies. Training has specific goals of improving one’s capability, capacity, productivity, and performance. In business, training is the investment of resources in the employees of a company so they are better equipped to perform their job. The types of resources invested may include time and money to develop, implement, and evaluate training programs. Training can be a source of a competitive advantage for a company. The primary benefit to the company is the result of an accumulation of smaller benefits. Training provides greater skill and knowledge to employees, which translate to improved job performance. Improved job performance, in turn, means greater efficiency, fewer errors, better productivity. The end result is reduced costs and higher profits. The company is not the only beneficiary of employee training, though; the employee can realize rewards, too. The need for training exists in every business. However the nature of training varies depending on the type of business and operations involved. For example, a manufacturing company may have a need for technical skills training while an insurance company may emphasize customer service training. So, how does a company determine what sort of training is needed? The process begins with a training needs assessment. A training needs assessment is a systematic and objective analysis of both the employee and organizational knowledge, skills, and abilities to identify gaps or areas of need. Identify the need. In this first step, the assessor looks for answers to questions such as: Why is the needs assessment being conducted? What is the desired result? What issues are trying to be addressed? Will training alone resolve the issues? Perform a gap analysis. This involves comparing current knowledge, skills, and abilities against company standards. 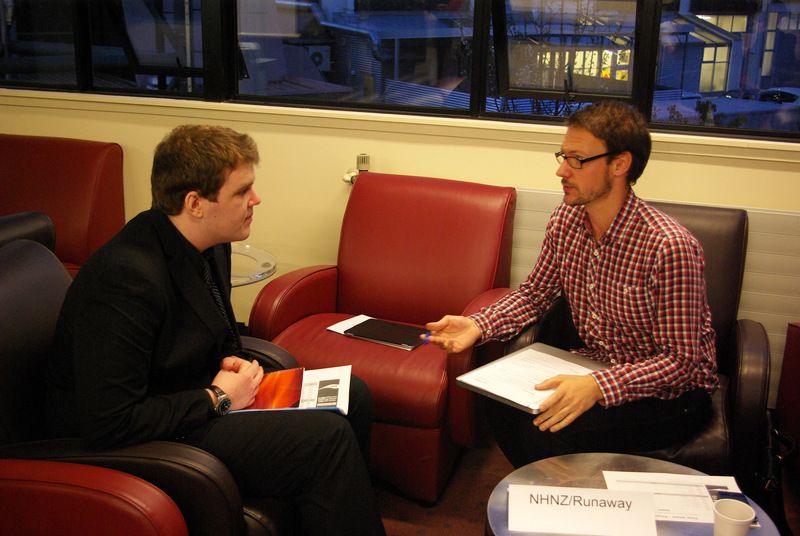 Training assessors may use HR records, interviews, questionnaires, or observation to identify gaps. Assess training options. Once completed, the assessment will present a list of options for training that management can evaluate based on criteria such as cost and duration. Not all training is the result of a needs assessment. Unforeseen circumstances may create an immediate need for training. For example, consider the Wells Fargo scandal of 2016, when it came to light that employees had secretly created millions of unauthorized bank and credit card accounts in order to generate bank fees and boost their sales figures. The bank fired 5,300 employees and had to put in place a rapid training and retraining program to mitigate the legal consequences of their employees’ actions. Other situations that might compel a company to conduct impromptu training are changes in legal requirements, new regulations, natural disasters or other crises. The goal of training is for the trainee to acquire relevant knowledge, skills, and competencies from the trainer as a result of being taught vocational or practical skills. More generally, training is aimed at improving the trainee’s capability, capacity, and performance. On-the-job training takes place in a normal working situation, using the actual tools, equipment, documents, or materials that trainees will use once they are fully trained. On-the-job training is not limited to, but is most commonly used for, technical or skills training. Off-the-job training takes place away from the normal work situation, and as a result, the employee is not a directly productive worker while such training takes place. Businesses often cite this as one of the disadvantages of off-the-job training. However, this type of training has the advantage of allowing people to get away from work and concentrate more thoroughly on the training itself. Off-the-job of training has proven very effective in helping people acquire and master new concepts and ideas. In addition to the basic training required for a trade, occupation, or profession, the labor market recognizes the need to continue training beyond initial qualifications in order to maintain, upgrade, and update skills throughout working life. This is known as professional development. Professional development refers to skills and knowledge attained for both personal development and career advancement. Professional development encompasses all types of facilitated learning opportunities, ranging from college degrees and formal coursework to conferences and workshops. Individuals who take part in professional development run the gamut from teachers to military officers. Individuals may pursue professional development because of an interest in lifelong learning, a sense of moral obligation, to maintain and improve professional competence, enhance career progression, keep abreast of new technology and practice, or to comply with professional regulatory organizations. In fact, there are many professions that have requirements for annual professional development to renew a license or certification, such as accountants, lawyers, and engineers. There are a variety of approaches to professional development, including consultation, coaching, communities of practice, lesson study, mentoring, reflective supervision, and technical assistance. Professional development may include formal types of vocational education—typically post-secondary or technical training leading to a qualification or credential required to obtain or retain employment. Professional development may also come in the form of pre-service or in-service professional development programs. These programs may be formal or informal, group or individual. It’s possible to pursue professional development on one’s own, or through the company’s human resource departments. Professional development on the job may develop or enhance “process skills”—sometimes referred to as leadership skills—as well as task skills. Some examples of process skills are effectiveness skills, team-functioning skills, and systems-thinking skills. The twenty-first century has seen a significant growth in online professional development. Content providers have become well informed about using technology in innovative ways, incorporating collaborative platforms such as discussion boards and Wikis to maximize participant interaction. These content providers offer training on topics ranging from sexual harassment awareness to promoting diversity in the workplace. The ability to customize training for a business or industry has placed these providers in a position to supplement or even replace in-house training departments. Because businesses can purchase access on an as-needed basis for as many or as few employees as necessary, the cost of training is reduced. Thus, businesses can provide more training and professional development opportunities to their employees at reduced costs and at times that are more convenient for both the employer and employee. Human resource management is all about increasing employee performance to their highest level corresponding to their role in the organization. Consequently, the importance of training to the organization and as a key function of HR management cannot be understated. A performance appraisal (PA) or performance evaluation is a systematic and periodic process that assesses an individual employee’s job performance and productivity, in relation to certain pre-established criteria and organizational objectives. Other aspects of individual employees are considered as well, such as organizational citizenship behavior, accomplishments, potential for future improvement, strengths, and weaknesses. A PA is typically conducted annually. However, the frequency of an evaluation, and policies concerning them, varies widely from workplace to workplace. Sometimes an evaluation will be given to a new employee when a probationary period ends, after which they may be conducted on a regular basis (such as every year). Usually, the employee’s supervisor (and frequently, a more senior manager) is responsible for evaluating the employee, and he or she does so by scheduling a private conference to discuss the evaluation. The interview functions as a way of providing feedback to employees, counseling and developing employees, and conveying and discussing compensation, job status, or disciplinary decisions. Historically, performance appraisals have been used by companies for a range of purposes, including salary recommendations, promotion and layoff decisions, and training recommendations. In general, “performance elements tell employees what they have to do, and standards tell them how well they have to do it.” This broad definition, however, can allow for appraisals to be ineffective, even detrimental, to employee performance. “Second only to firing an employee, managers cite performance appraisal as the task they dislike the most,” and employees generally have a similar feeling. One key item that is often forgotten during the appraisal process (by managers and employees alike) is that the appraisal is for improvement, not blame or harsh criticism. An assessment of how well the employee is doing. Sometimes this includes a scale rating indicating strengths and weaknesses in key areas (e.g., ability to follow instructions, complete work on time, and work with others effectively). It’s also common for the supervisor and manager to discuss and determine the key areas. Employee goals with a deadline. Sometimes the employee may voluntarily offer a goal, while at other times it will be set by his or her boss. A significantly underperforming employee may be given a performance improvement plan, which details specific goals that must be met to keep the job. Feedback from coworkers and supervisors. The employee may also have the chance to share feelings, concerns, and suggestions about the workplace. Details about workplace standing, promotions, and pay raises. Sometimes an employee who has performed very well since the last review period may get an increase in pay or be promoted to a more prestigious position. Behavioral methods: A broad category encompassing several methods with similar attributes. These methods identify to what extent an employee displays certain behaviors, such as asking a customer to identify the usefulness of a sales representative’s recommendation. While extremely useful for jobs where behavior is critical to success, identifying behaviors and standards for employees can often be very time-consuming for an organization. 2+2: A relative newcomer in performance appraisal methodology, the 2+2 feedback system demonstrates how appraisals can be used primarily for improvement purposes. By offering employees two compliments and two suggestions for improvement focused around high-priority areas, creators Douglas and Dwight Allen suggest that organizations can become “more pleasant, more dynamic, and more productive.” If the goal is employee improvement, this system can provide significant benefits; however, if the goals are compensation changes and rankings, the system provides little benefit. Appraisal methodologies depend greatly on the type of work being done; an assembly worker will require a very different appraisal system from a business consultant. Significant planning will be required to develop appropriate methods for each business unit in an organization in order to obtain maximum performance towards the appraisal goals. People talk about loving or hating their job, but do they ever mean that they love or hate how much compensation they receive for the job that they perform? Can someone pay you enough to take on jobs like Mike Rowe did on his television show, Dirty Jobs? How much an employee or manager is paid and the different ways that their compensation can be structured is an area in which HR managers find themselves competing with other employers. As the business environment become more complex, so do the forms of employee financial compensation. From a business standpoint, employee compensation can be thought of as the cost of acquiring human resources for running operations. A salary is a form of compensation paid periodically by an employer to an employee, the amount and frequency of which may be specified in an employment contract. In general, employees paid a salary do not “punch a clock,” and they work however many hours are necessary to accomplish organizational goals and objectives. Most managers are paid a salary that is calculated in terms of annual, monthly, or weekly earnings instead of hourly pay. U.S. employment law distinguishes between exempt (salaried) and nonexempt (hourly) workers. Employers can require exempt employees to work long hours without paying overtime. Today, the idea of a salary continues to evolve as part of a system of all the combined rewards that employers offer to employees. Salary is coming to be seen as part of a “total rewards” system, which includes bonuses, incentive pay, commissions, benefits, perks, and various other tools that help employers link rewards to an employee’s measured performance. Something that has become increasingly common is to offer salaried employees options to purchase stock in the company. An employee stock option (ESO) is a call option on the common stock of a company, granted by the company to an employee as part of the employee’s compensation package. 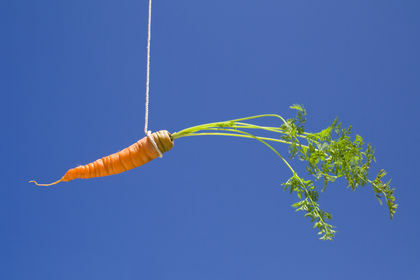 The objective is to give employees an incentive to behave in ways that will boost the company’s stock price. In many cases, the ESO represents an amount considerably higher than the employee’s base salary. For example, in 2015 Satya Nadella, CEO of Microsoft, was paid a salary of $4.5 million, but his stock options earned him an additional $79.8 million. Time rate: Under this system, a worker is paid by the hour for time worked. Time worked beyond a set amount (generally 40 hours per week) is paid as “overtime” and at a higher base hourly wage, usual 1 1/2 times higher. Differential time rate: According to this method, different hourly rates are fixed for different shifts or different assignments. The most common differential time rate occurs in production facilities where workers who are assigned to a graveyard shift (e.g., 11:00 p.m.–7:00 a.m.) are paid a “shift differential” that can range from a few cents to many dollars per hour. Payment by piecework: The worker’s wages depends on his or her output and the rate of each unit of output; it is in fact independent of the time taken by the worker. In other words, for every “piece” a worker produces, he or she is paid a set amount. This type of pay has fallen out of favor with many businesses since it emphasizes quantity over quality. That said, today’s “gig economy” relies on a kind of payment by piecework. According to Uber, the company’s drivers are independent contractors, receiving payment for each trip. 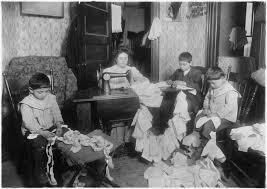 Piecework system: A family in New York City making dolls’ clothes by piecework in 1912. Each family member earns money based on how many pieces he or she produces. Straight Commission. Under a straight commission system, the employee receives no compensation from their employer unless they close a sale or transaction. Real-estate agents and car sales staff are two of the best-known examples of professions in which straight commission is the standard form of compensation. One hundred percent of such employees’ compensation is dependent upon selling the customer a product, good, or service. This approach to compensation has fallen out of favor in many businesses because it can lead to salespeople to make high-pressure sales—putting undue pressure on customers to buy something so the salesperson can get paid. Salary plus commission. Similar to the straight commission, salary plus commission requires an employee to make a sale or “close a deal” in order to earn compensation. However, only a portion of the employee’s compensation is comes from the commission. The employer pays the employee some level of wages every pay period, regardless of his or her sales level. This reduces the necessity for high-pressure sales tactics, so long as the base salary is an adequate wage. Wait staff are essentially paid salary plus commission (they receive an hourly wage plus tips), but the hourly wage for such work can be as little as $2.10 per hour. Salary plus bonus. When an employee is paid a salary plus bonus, the bonus is not paid unless sales-volume or production goals are met or exceeded. For example, the manager of a real-estate firm may be paid a substantial salary but will earn a bonus only if the office he or she manages exceeds some pre-established sales figure for the month, quarter, or year. The advantage of a salary plus bonus is that it’s tied to the performance of a department or division, thereby motivating the entire team to work together to reach organizational goals or sales targets. Relocation assistance: Often enough, hiring someone means moving the new employee to a different location. The talent an employer needs may come from another city or country, and attracting the right person may entail providing assistance with visas, housing, flights, and a range of other moving costs. Medical, prescription, vision, and dental plans: Particularly in countries with poor social benefits (such as the U.S.), medical insurance is a necessity for employers hiring full-time workers (sometimes it’s even legally required). In countries with strong social welfare systems (such as Canada), these benefits are provided by the government. Dependent care: Many employees obtain health insurance coverage through their employer not only for themselves but for their spouse and/or children, too. Retirement benefit plans (pension, 401(k), 403(b)): Larger employers usually offer employees various retirement-related benefits such as long-term investments, pensions, and other savings for retirement. The primary draw for most of these benefits is the tax benefit (the ability to set aside pretax income for retirement savings). Group term life and long-term care insurance plans: Life insurance and long-term care are benefits paid by employers to insure individuals against various types of risks and disasters. Employees with life insurance or long-term care insurance will see their dependents (and themselves, in the case of long-term care) financially supported if a serious ailment or tragedy occurs. Legal assistance plans: Not quite as standard as the rest of the benefits above, legal assistance plans can be established for jobs in which personal liability is high. Legal assistance is expensive, and such plans draw on organizational resources to cover the employee under circumstances when legal aid is needed. Child care benefits: Supporting employees’ families is absolutely critical to retaining great talent. Especially in families with two working parents, employer-covered child care is a key benefit that provides cost savings to the employee while enabling the employee to focus on work (which benefits the employer). Transportation benefits: Another common benefit is paid transportation. Particularly in countries/regions where public transportation is the norm, it’s quite common for the employer to pay for all work-related transportation. Paid time off (PTO) in the form of vacation and sick pay: All organizations must provide paid time off, vacation, and sick pay under certain circumstances. Many countries have stringent legislation governing minimum requirements for paid time off and vacation leave to ensure that employees have a healthy work-life balance. While there are other, less common benefits that employers can offer, the list above describes the standard benefits that employees can expect to encounter. 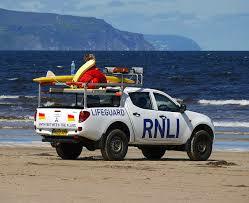 One of the perks this lifeguard enjoys is the use of a company car. The term fringe benefits was coined by the War Labor Board during World War II to describe the various indirect benefits that industry had devised to attract and retain labor when direct wage increases were prohibited. The term perks (from “perquisites”) is often used colloquially to refer to those benefits of a more discretionary nature. Perks are often given to employees who are doing notably well or have seniority. Common perks are hotel stays, free refreshments, leisure activities on work time, stationery, allowances for lunch, and take-home vehicles. When numerous options are available, certain employees may also be given first choice on such things as job assignments and vacation scheduling. They may also be given first chance at job promotions when vacancies exist. Benefits may also include formal or informal employee discount programs that grant workers access to specialized offerings from local and regional vendors (e.g., movies and theme-park tickets, wellness programs, discounted shopping, hotels and resorts, and so on). Companies that offer these types of work-life perks seek to raise employee satisfaction, corporate loyalty, and worker retention by providing valued benefits that go beyond a base salary. Fringe benefits are thought of as the costs of keeping employees (besides, of course, salary).